At the start of this year, Hermosa Beach dissolved its fire department and contracted with Los Angeles County for fire department services. Last month, Redondo Beach Mayor Bill Brand directed his city’s fire chief to research contracting with Los Angeles County for Redondo’s fire services. Palos Verdes Estates residents will face a similar decision when they vote Tuesday, April 10 on Measure E, a citywide parcel tax. But instead fire department services, which are already provided by Los Angeles County, residents will be deciding on whether or not to keep their police department. If approved, Measure E will impose an annual, $342 tax on every parcel in the city and a 20 cent per square foot tax on building improvements. Property values will not be a factor in the tax. The tax will appear on county property tax bills for nine years. The approximately $5 million annually that Measure E will raise will be maintained in a separate city account and used exclusively for law enforcement. 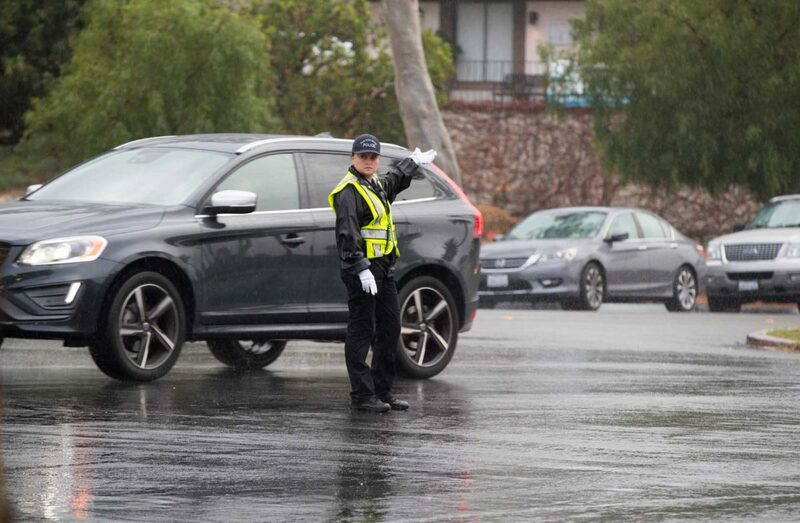 “If the residents desire to maintain the local Palos Verdes Estates Police Department, $5 million is necessary to balance the budget,” according to a city staff report presented to the city council in January. Palos Verdes Estates has had its own police department since 1929. The measure includes creation of a five-member citizen oversight committee and the release of an annual police expenditures statement. Similar parcel taxes have been approved by PVE voters four times since 1980. But when voters were asked to approve a parcel tax for a fifth time, on the March 7, 2017, ballot, the measure received just 60 percent approval. Passage required 66.67 percent approval. Measure E revenue would represent approximately 25 percent of the city’s budget. City revenue for this year is estimated at $16.1 million while expenses are budgeted at $23.2 million. To cover the shortfall the council has instituted $1.2 million in budget cuts, transferred $1.5 million from other city funds and $1.5 million from the city’s reserves, according to the staff report. The police department’s $7.1 million budget is the city’s largest single expense. The PVE police department contents that contracting with the Sheriff’s Department would result in a 9 percent decrease in patrols. The city staff report also lists police services that would suffer should the city contract with the Sheriff. Among the downsides to contracting with the Sheriff’s, the report states: 1.The PVEPD’s emergency response time averages 3 minutes, versus 5 to 7 minutes for the Sheriff’s. 2. In a disaster, the city manager and council are able to direct response through the city police chief. But under contract with the Sheriff, disaster decisions would be made by the Lomita Sheriff’s Captain. 3. Sheriff’s presence at community events would be billed at an hourly rate, rather than absorbed by the local department’s budget. 4. Local police know local residents and local streets, which are unlit. The April ballot date for the parcel tax was recommended by staff to avoid conflicting with a possible school bond measure and the June 2018 gubernatorial primary ballot, which is expected to have several statewide bond measures.